Farmhouses traditionally have many welcoming and comfortable features that make them desirable. From the spacious wraparound porch to the cozy family room fireplace, a farmhouse invites you to put up your feet and stay awhile. If you're looking to build your own farmhouse, there are many different styles and layouts to choose from. 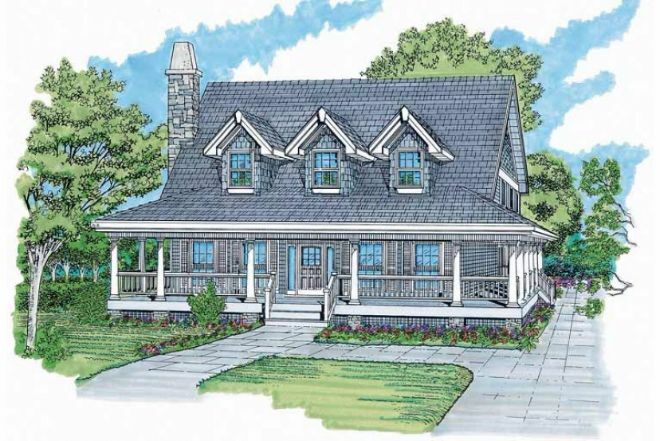 Check out seven of our favorite farmhouse plans below and see which one has all the amenities you're looking for. 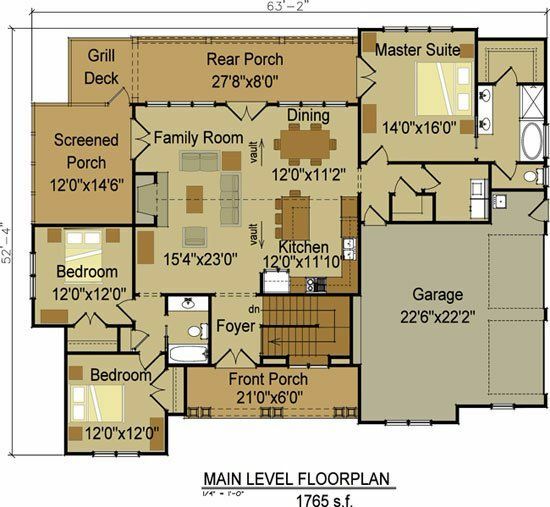 If you're interested in purchasing any of these plans, simply click on the corresponding title link. 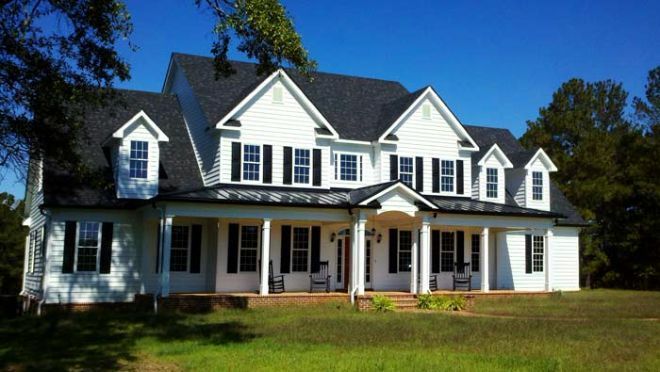 The High Country Farmhouse is a three story, five bedroom plan with porches on the front and rear of the home. A large dining room and a study with french doors flank the foyer. 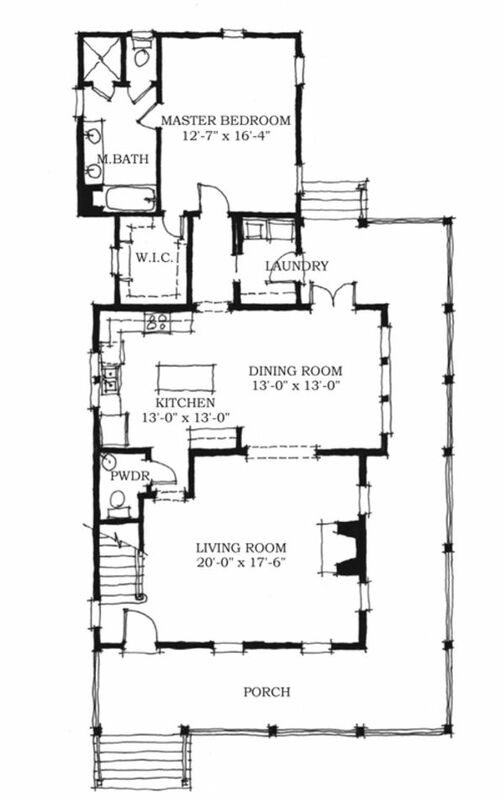 The kitchen and breakfast room are open to the two story family room. The large main floor master suite features his and her closets. 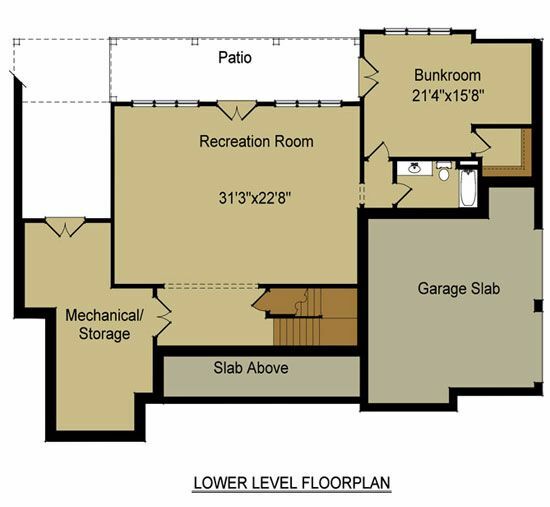 Also on the main level are a large walk in pantry, mud room, and laundry room. 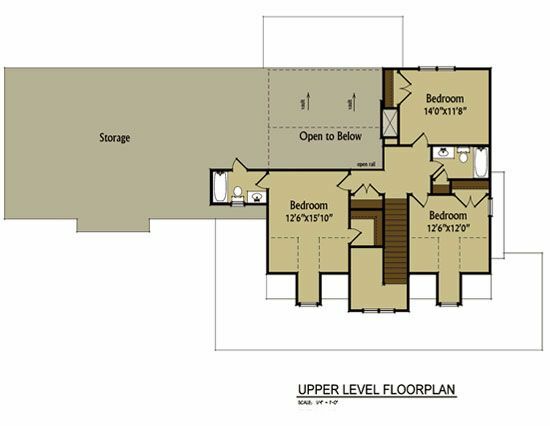 The upper level features two large bedrooms. 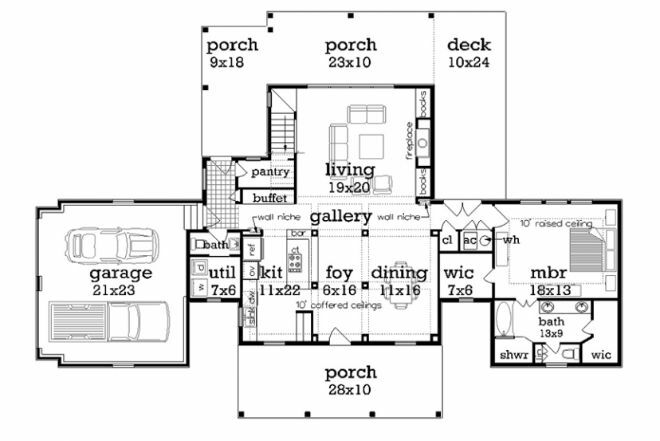 This plan is a two story, four bedroom rustic low country farmhouse. 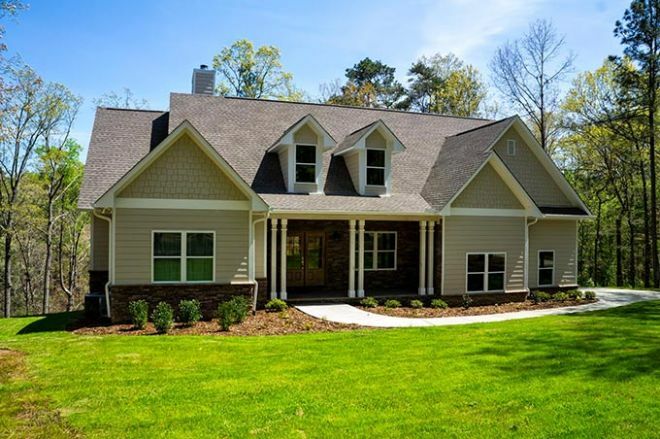 The front exterior features craftsman style details and an inviting wrap around porch. 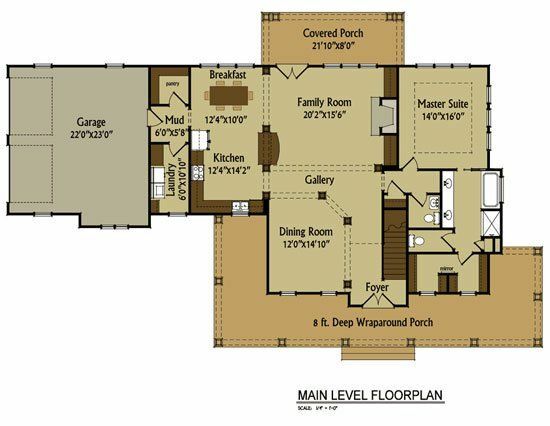 The breakfast, kitchen, dining and family room are separated by columns and architectural details. 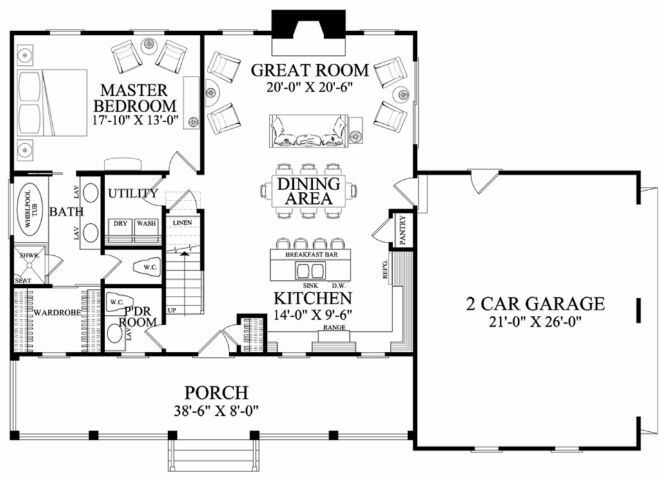 The master suite is on the main level with a large walk-in closet. The kitchen includes a breakfast nook. Upstairs you'll find three more bedrooms and a bathroom. 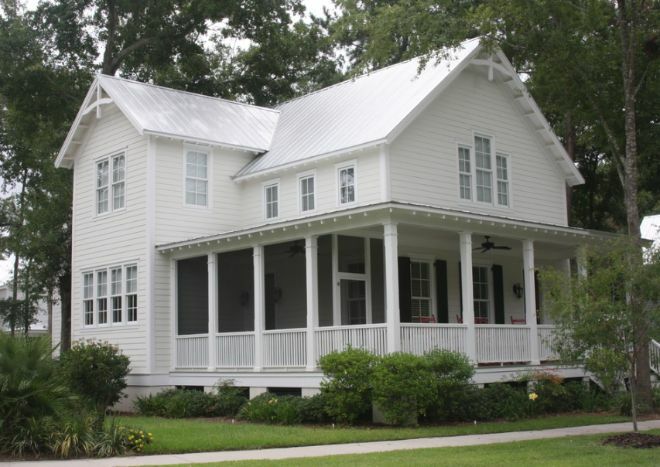 Enter the Serenbe Farmhouse through the charming front porch into a roomy foyer. From there you'll find an open layout that includes the family room with fireplace, dining space, and kitchen with a large island. The rear porch has an open section with a grill deck as well as a screened in portion. 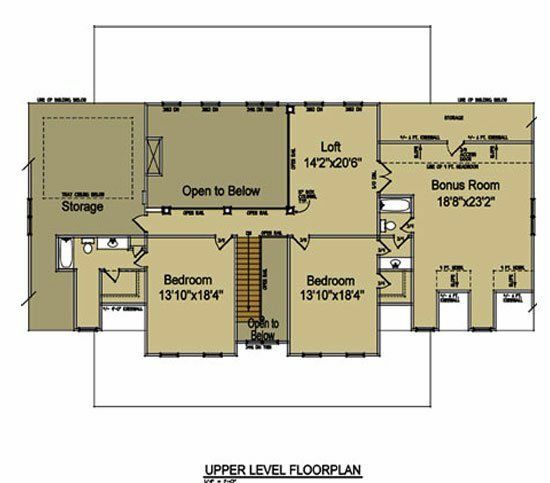 This design features an optional lower level that includes a rec room, a guest bedroom and bath, and a bunk room with a bath. 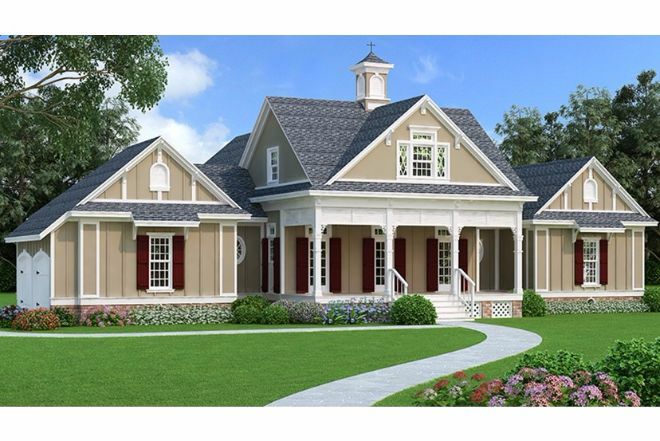 This plan features porches in front and back to create more living space outdoors. Inside, the kitchen features a large island with a cook top and snack bar. The living room includes a fireplace flanked by built-in bookcases for storage and style. 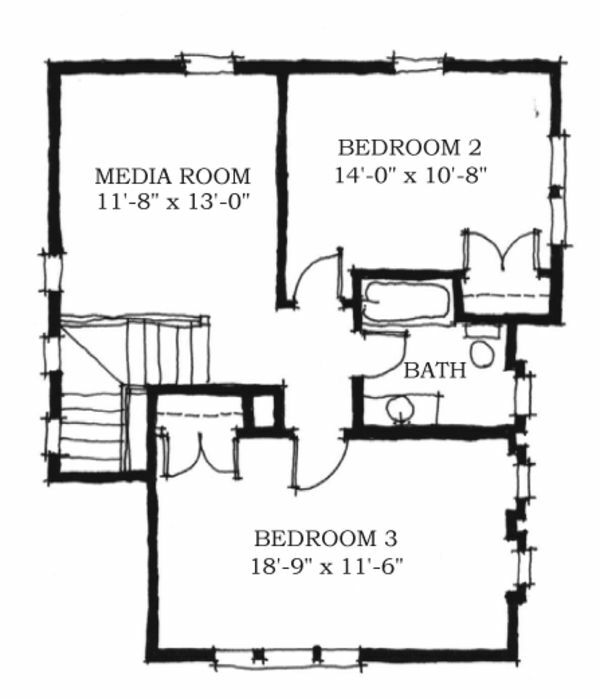 The master suite is privately located on the main floor. 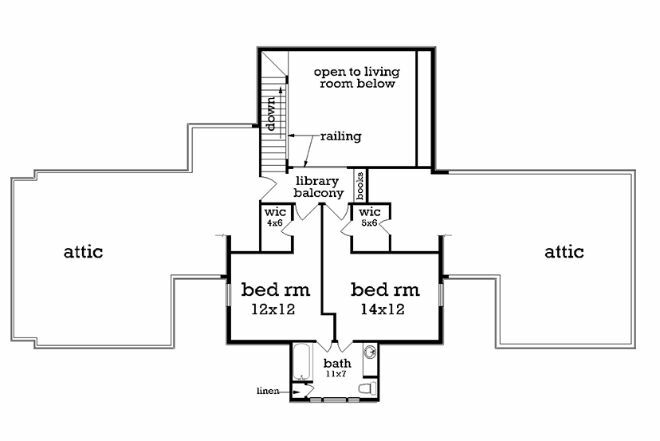 Two more bedrooms share a bathroom and the library space upstairs. 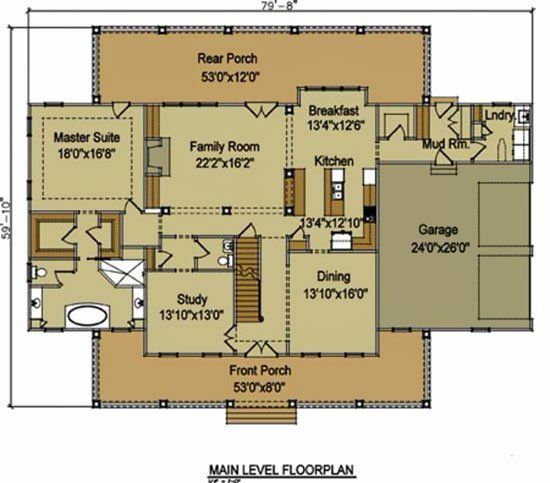 This plan combines the country charm of a farmhouse with the open layout of more modern homes. The the fireplace-warmed great room, the dining area, and the kitchen are all connected and all share a vaulted ceiling. The spacious master bedroom is located on the first floor for privacy and features a walk-in closet and a windowed sitting nook. 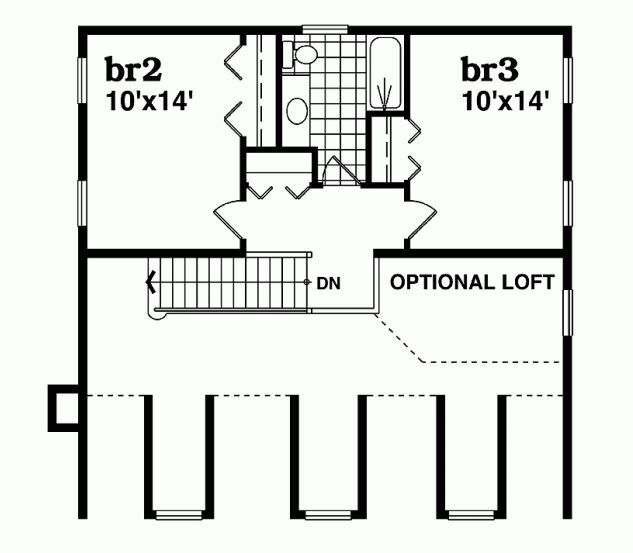 Two more bedrooms are located upstairs, and can be joined by an optional loft. 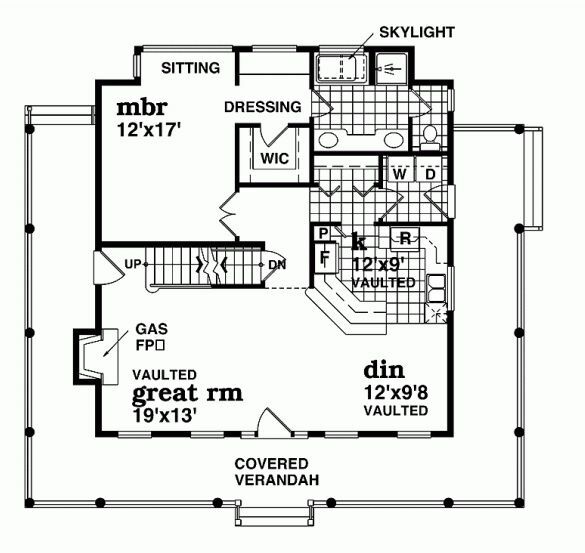 This plan has three bedrooms and is full of country charm. The main floor is an open layout that includes the kitchen with a breakfast bar, dining area, and great room with a fire place. The master suite includes a sitting area and is privately located on the first floor. 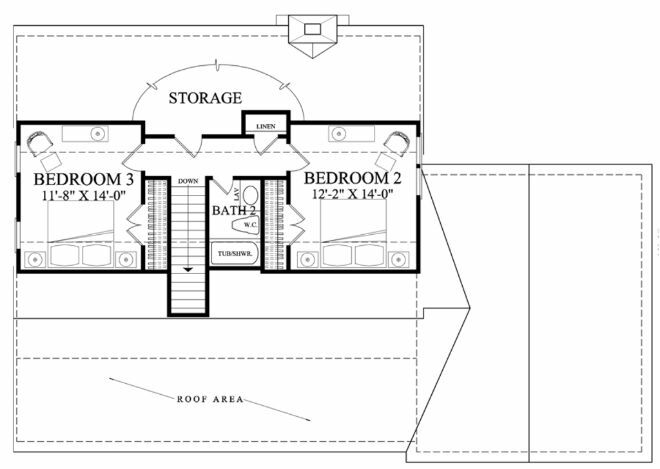 Upstairs you'll find two more bedrooms, a bathroom, and storage space. 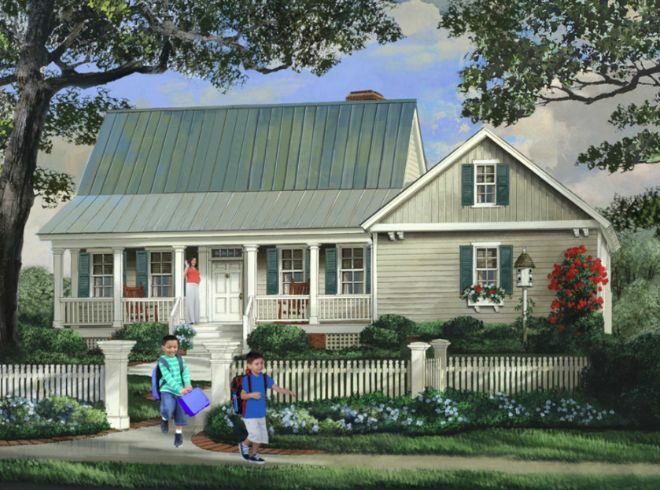 This plan has a classic farmhouse cottage look with a tin roof and partial wraparound porch. The living room is warmed by a fire place and leads into the dining room. The kitchen is open to the dining room and features a large island. At the back of the house is the master bedroom. The laundry room is conveniently located near the master. Upstairs there are two more bedrooms and a media room. 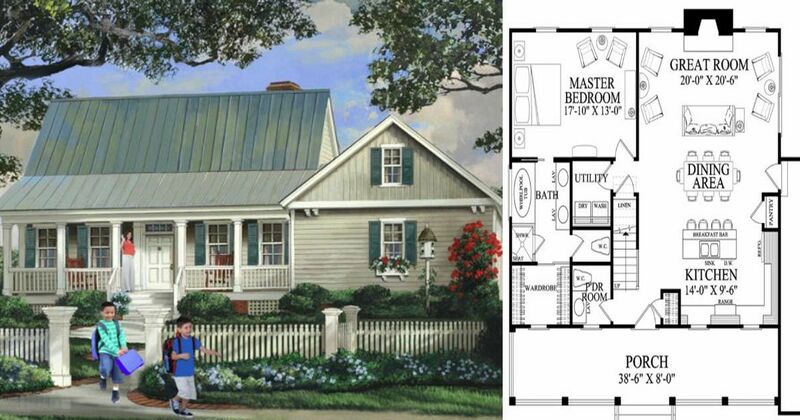 Which farmhouse design did you like best? What kind of designs would you like to see in the future? Let us know, and make sure to share this article with your friends!